this is a blog called geometricsleep. : Where in the world is Carmen Sandiego? 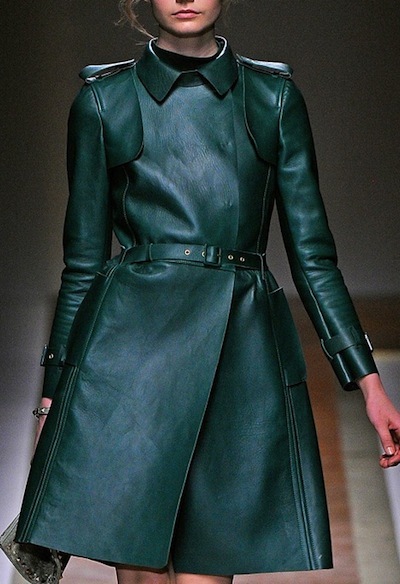 Probably hatching a plan to hit up some Valentino stores come fall and steal this SICK hunter green leather trench. Just imagine how incredible this will be after 20 years of continuous wear.